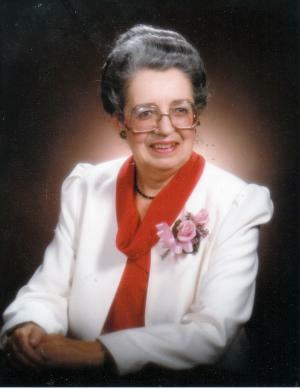 Lois Marie Conlon passed away at Frederick Hall on January 19, 2019. Lois was the last surviving member of her immediate family. She was predeceased by her mother, Florence Mary Conlon, her father, James Harrison Conlon and her siblings and their spouses: Catherine (George) Andrews; Constance (William Allison) Saunders; and James Duston Conlon. Lois was also predeceased by her nephew, William Saunders and her great -great nephew, Simon Dutczak. Lois worked for the North American Life Assurance Company of Canada (now Manulife). She was the Office Manager in Fredericton for the greater part of her 42 years with the company. Lois’s business abilities were recognized early, and she was offered the opportunity to move to Toronto to further her career at the company’s head office. Lois declined because she didn’t want to move so far away from her family. Family meant everything to Lois, and she maintained a close relationship with her siblings and their families throughout her life as well as her cousin Joan (Robert) Meade and their family. Although she never married or had children, she welcomed and took a personal interest in every child who came into the family. Lois was a loving and generous person. She was a caregiver to her mother and father. As well she shared her home with her sister Catherine and her three young children after George’s sudden death. Lois travelled extensively, particularly with her sister Connie and her husband Bill. They had several wonderful trips to Hawaii and Lois often joined them for some summer fun with their family at the summer home on the Georgia Strait. Lois had many interests. Lois was a member of the St. Dunstan’s CWL and choir. She was the family photographer. She was an excellent seamstress. She became functionally bilingual in her spare time which allowed her to travel easily to Quebec and Paris. Lois has relatives all across North America who have loved her and will miss her. Nephew James /Jim Andrews, niece Susan (Simon) Andrews - Caron and nephew George (Shari) Andrews will never forget Lois’s care and support of them as children. They cherish her also as a friend into their adult years. Their children and grandchildren have fond memories of Lois and her generosity. The family wish to extend their thanks to her caregivers over the past 6 years and particularly the staff of Frederick Hall who took such good care of her during the past few years. A Mass to celebrate Lois’s life will be held at St. Dunstan’s Roman Catholic Church on Friday, February 1st, 2019 at 12:05 PM with Father. Owen Burns officiating. A reception will follow in the Mary Sullivan Room. Interment will take place at St. Joseph’s Cemetery in Saint John at a later date. In lieu of flowers, donations to the Alzheimer’s Society or a charity of the donor’s choice would be appreciated by the family.